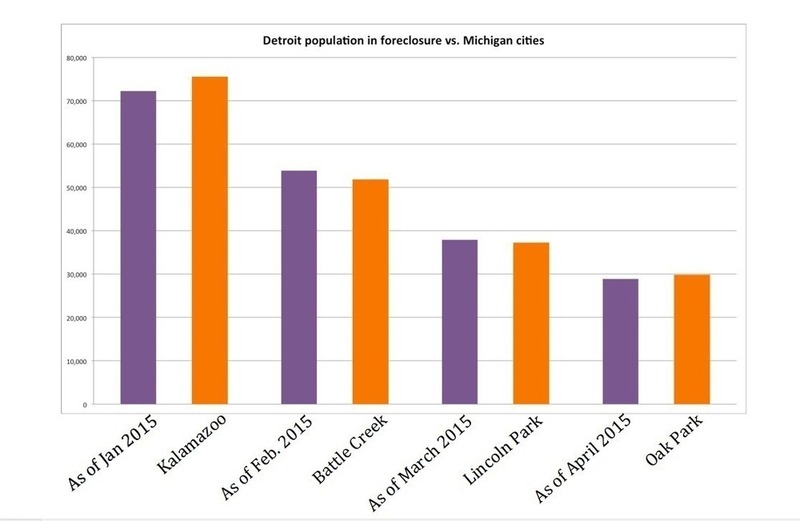 2015 has been a record year for tax foreclosures in the city of Detroit. 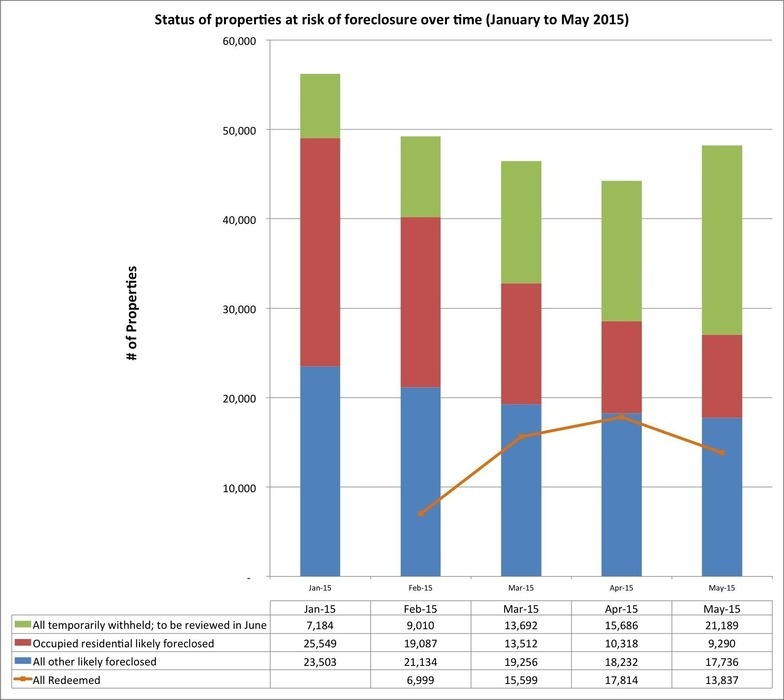 62,082 properties entered the formal foreclosure process at the beginning of the year—that equates to 1/6 of the entire city at risk of transferring to public ownership. At least 25,500 of those were occupied residential structures. Caught between empathy for the residents in foreclosure and financial obligation to collect the unpaid taxes, the Wayne County Treasurer’s office began convening meetings with City departments, community groups, non-profit organizations, and other supporting partners, including Loveland Technologies, Rock Ventures, United Way for Southeast Michigan, the Skillman Foundation, and the Kresge Foundation. Together, the group developed plans to increase public outreach around available foreclosure help resources, to collect data to understand the population at risk of losing their homes, and to humanize an often cold, harsh, and devastating process. From January 27 to the end of March this year, around 7,725 people attended 24 Wayne County and community-hosted events to redeem their properties, get on payment plans, apply for resources, and seek hardship extensions. Partnering with the County Treasurer’s office and the community hosts, the group collected surveys from owners, renters, and other interested parties representing 5404 Detroit properties. 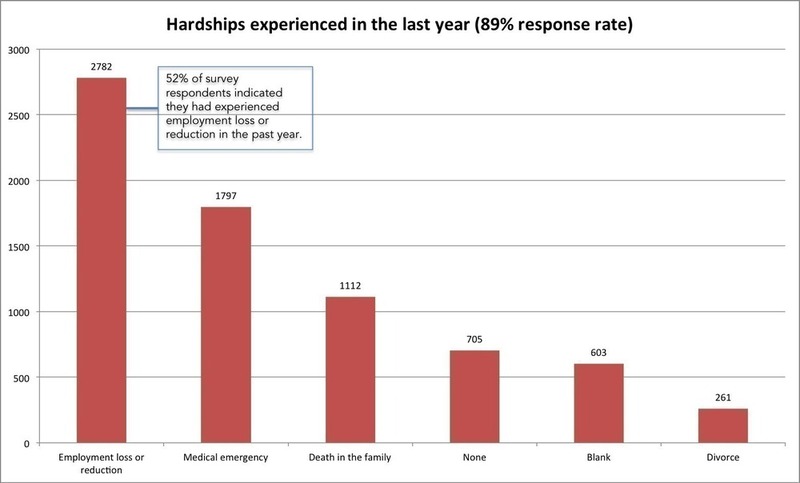 Respondents were asked if they personally occupied the home in the 400+ surveys returned at community-hosted events. 88% indicated that they were owner occupants of the property in question. Around 50 surveys were repeats – completed by people who attended multiple events. 88% of survey respondents indicated that they wished to stay in, keep, or purchase the home. Over half of survey respondents indicated that they had experienced employment loss or reduction within the last year (89% response rate). 53.7% of survey respondents reported an annual income of less than $28,000 (72% response rate). 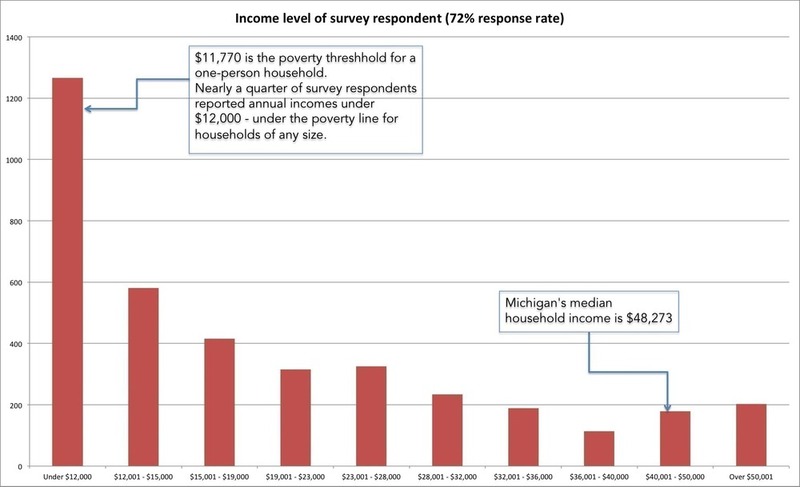 The median household income for Michigan (2009-2013) was $48,411 (US Census Quickfacts). Click here to find the rest of the survey results. As noted above, Wayne County filed foreclosure petitions on a record 62,082 properties for the fall 2015 tax foreclosure auction. By May 2015, the total number of properties likely to be foreclosed had been shaved down to 27,026; 9,290 are occupied structures. An additional 21,189 are temporarily withheld – mostly for getting on payment plans – to be reviewed in June. 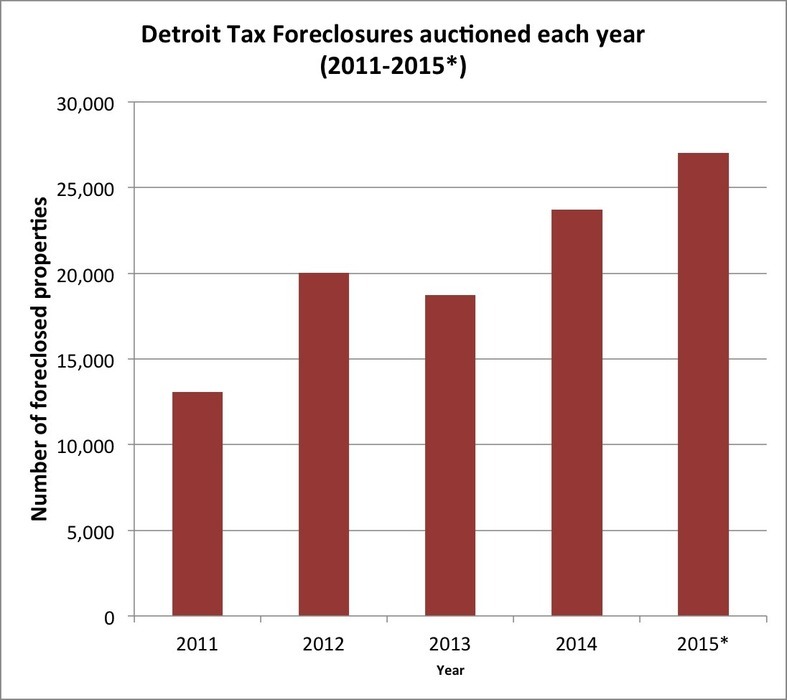 Despite that reduction, the number of annual tax foreclosures has more than doubled over four years from 13,000 in 2011 to 27,000 tracking for public auction this year. And the fact remains that a population roughly the size of Oak Park will likely lose their home to tax foreclosure this year. Population estimates are conservative; they are based on number of structures in foreclosure multiplied by the average household size of 2.71 based on the US Census, noting that the vast majority of the foreclosures are homes. Detroit property owners pay the current year’s property taxes to the City of Detroit. By March of the following year, any unpaid taxes are then due to Wayne County, which acts as a collections agency. Once taxes are two years delinquent, Wayne County forecloses on the property and can then sell it at a public auction. For example, by the beginning of 2015, unpaid 2012 taxes have been delinquent for two years and the property is subject to foreclosure. This year, Michigan lawmakers passed three bills that significantly lowered penalties and interest on back taxes for owner-occupants. However, owner-occupants had only a three-month window to take advantage of the new laws before foreclosure, meaning that there was need for a massive education and media campaign. The group worked with the City Department of Neighborhoods, United Community Housing Coalition, Michigan Legal Services, and others to disseminate the new options for payment. 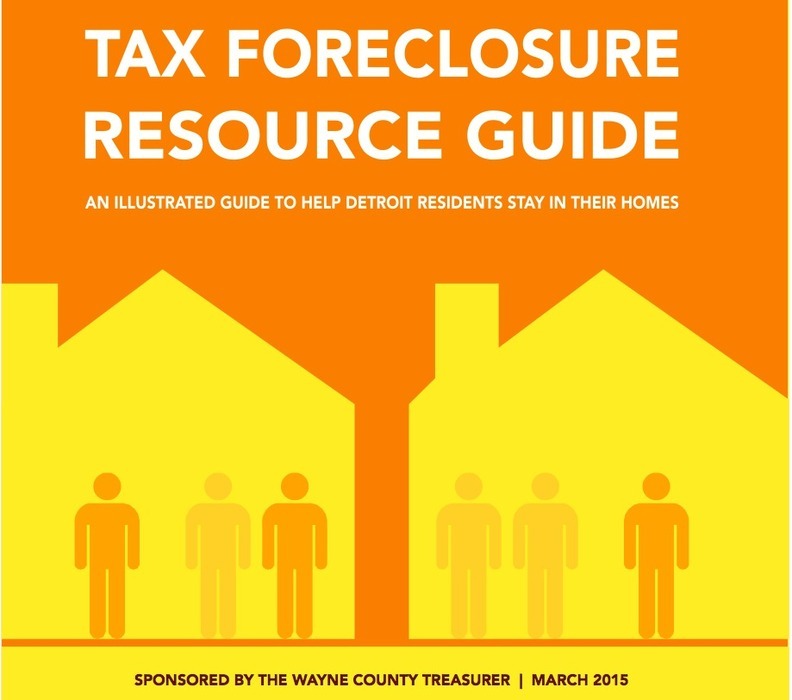 (For an overview of these options, read the Tax Foreclosure Resource Guide. (Right click the image to save as - it is a very large PDF). Our final goal was to help make the process more human-centric. At each event, we helped ensure that residents were comfortable and able to ask questions of an attentive, knowledgeable assistant. We will continue to pursue policies, programs, and assistance for the residents of Detroit.